routine life. It has 1.5 Ghz Quad-Core processor pared with 1GB of RAM and 16 GB of internal memory. It has 8.0 Mega pixels camera that also record HD videos. It also have flash light with camera so you can take pictures is dark areas. Its web browsing speed is also very fast , even we find its page loading speed faster than QMobile NOIR Quattro Z4. 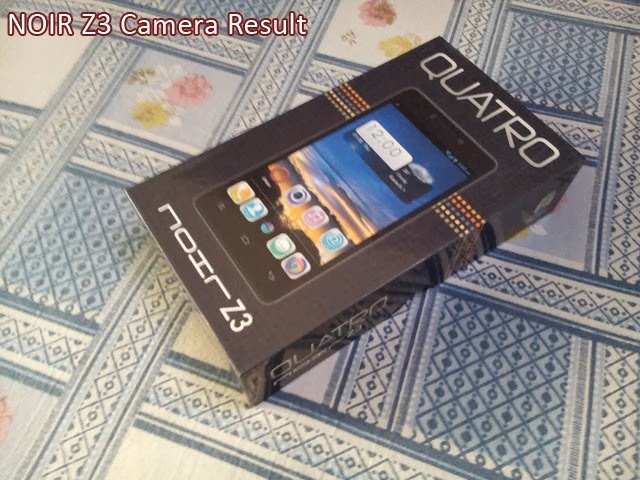 Here is the Full length Video Review of QMobile NOIR Quatro Z3. 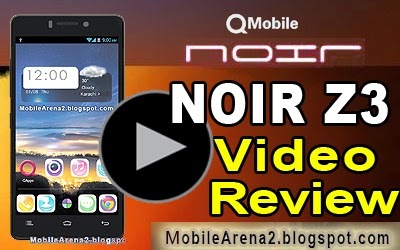 QMobile NOIR Z3 Full lenght Video Review in Urdu from Bilal Saeed on Vimeo. It has no memory card slot but its internal memory is quite handsome to store you data on the go. It has GPS , GPRS and EDGE facilities that enhance your web experience if you have no Wi-fi connection any time. Its weight is somewhat more than usual. QMobile NOIR Z3 has a 8.0 mega pixels camera .Its camera takes very good and crisp photos. You can take your phone with you at any place of picnic or enjoyment and you can take bright quality photos with its camera. It also have LED flash to assist the camera in the dark environment or in the area with deficiency of outer light. You can take photos both in landscape mood as well as portrait mood. It also record HD videos of 1080p value. 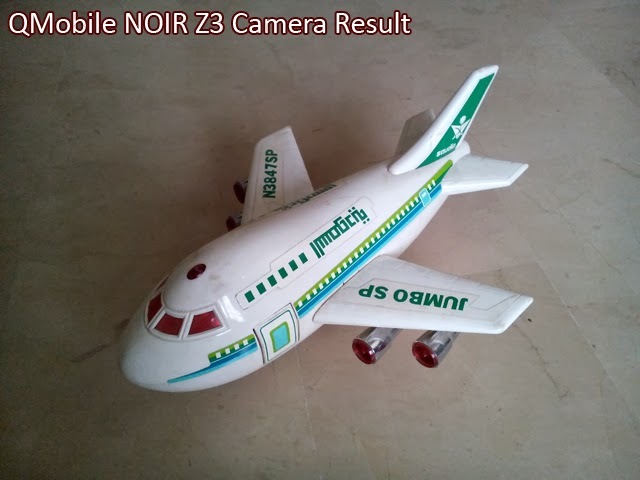 The NOIR Z3 camera has touch focus and face detection, geotagging and smile shutter are also enabled.Continuous autofocus is a feature that is good to have on a phone like the HTC Desire 500 with no hardware shutter key (the virtual shutter key cannot trigger autofocus either, it does burst mode). On the downside, the continuous autofocus may be way off in some shots - the only way to be certain you have it right is to tap and hold on the spot of the screen where you want the focus to be. Overall, the NOIR Z3 camera produces pleasantly looking images. We liked the level of resolved detail. Compared to previous QMobile devices (like the QMobile NOIR A600), there is too oversharpening going on in the field of design and out look of the NOIR Z3 camera lens on the top left corner of the phone and that gives a great look to your phone. Other than that, noise levels are fine, white balance was spot on and the colors were saturated. Also, the camera captures images relatively fast due to 1.5Ghz processor of NOIR Z3 that is why performance and speed of working on camera is not an issue at any moment. 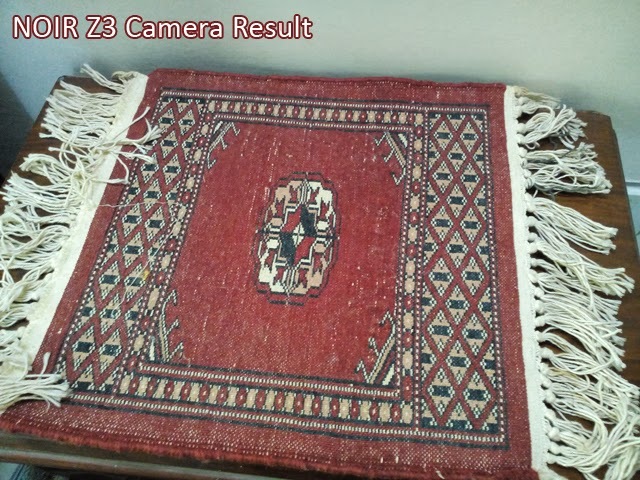 We have taken some still images with the camera of NOIR Z3 . Here is the result for you.